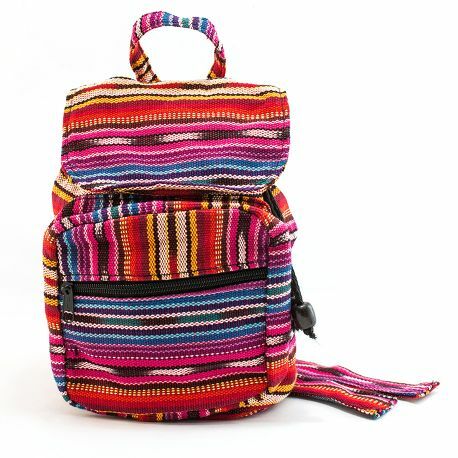 Colorful ikat mini backpack with adjustable straps, zipper front pocket and wrist strap. Bead and tie closure with Velcro flat. 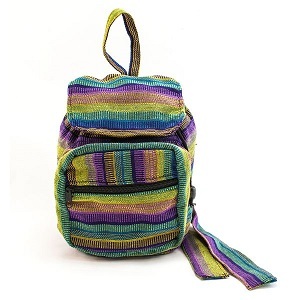 measures approximately 9" H x 8" W 32". 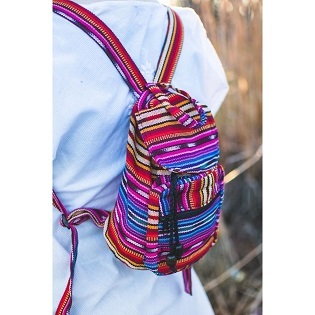 This backpack is great for carrying your stuff at a festival and it comes in assorted bright and earth tones.